I was out with my friend Ms S the other day, she was of course looking as fabulous as always in her sleek maxi dress, hip handbag and beaded sandals. When I complimented her on her outfit she blurted out something to the effect of – these old things I’ve had them since the late eighties. Now this isn’t the first time that Ms S has worn something jaw dropping that was purchased more than twenty years ago, on one occasion she was perfectly swathed in the most gorgeous Jean Paul Gauthier number that looked like it was born yesterday…yet again- late eighties. Okay, now I am no slouch in the wardrobing department, I am a stylist for heavens sakes, this is my terrain…. but, apparently I did not inherit the protect and preserve gene from my mother who also famously has a stash of in- tact garments that look untouched by human hands… So in the spirit of trying to return to my practical roots in this “downturn” I want to share some great ways to get the most wear out of your wardrobe. Suits, dresses, coats; Avoid too many (overpriced) trips to the dry cleaners., in time those pungent chemicals will cause colors to fade and fabrics to wear. Eco safe detergents that are made for fine fabrics and dry clean only items can be a good substitute on occasion but you need to handle with care and for the life of that silk – read the labels luv, wring out items by rolling inside a towel and lay flat or hang on one of those cute little fold up racks based upon tag recommendations. Store your fashionista coats, jackets or soon to be out of season items on large hangers that won’t stretch out their shape.. Stuff any shoulders, arms, pockets etc etc with non- acid tissue paper and place them in breathable cloth (not stinky vinyl) garment bags. Steer clear of storing any items in plastic for extended periods of time. Care for wool and cashmere gently, these items should always be handwashed whenever possible. The preferred method is in a sink full of lukewarm water and a capful of non- phosphorus detergent made especially for knits or delicates. 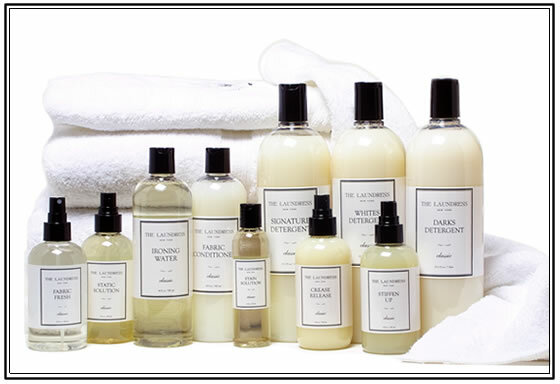 I love The Laundress Wool and Cashmere wash, in fact I adore the entire line from dark wash, to white wash, to stain sticks, to fresheners… they had me at hello I have a stain! Always dry your sweaters flat, never…I repeat never hang them dearlings…the weight of the water will stretch that formerly fitted number out to a slouchy mess. Store knits in a plastic or cloth bag, then pack into a box with cedar chips. Stay tuned next week for tips on how to care for handbags, shoes and accessories! Diane, you are an info goddess. Thank you taking this series of “How to” on – I wait for the next installment with anticipation. Have many an article that has seen 10+ years with diligent care. It’s just not that hard and the payback is a closet filled with well-made, long-lasting fashions. Buy the best and take care of it!